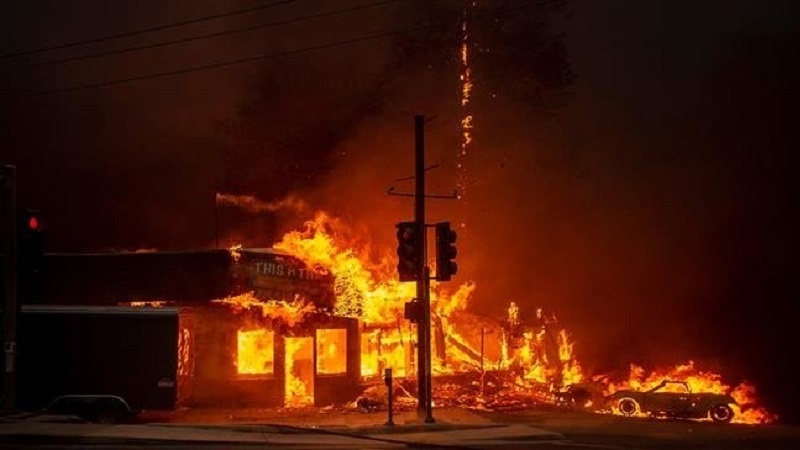 Insurance claims from the recent devastating California wildfires that killed at least 89 people and destroyed 19,000 homes and businesses have reached at least $9 billion, the state’s insurance commissioner said Wednesday. He said the figures released in connection with the three wildfires — the Camp Fire, The Woolsey Fire, and the Hill Fire — are preliminary. State and federal authorities announced on Tuesday that it will cost at least $3 billion to clear debris from the blazes. Most of the insurance payouts — some $7 billion — concern the Camp Fire in Northern California, which wiped out the town of Paradise and killed 86 people, making it the deadliest wildfire in recent California history. Three other people died in the Woolsey Fire, which destroyed hundreds of homes and businesses in Southern California, including the homes of several celebrities in Malibu. The third blaze, the Hill Fire, also in Southern California, scorched thousands of acres in the Santa Rosa Valley. Insurance claims for those fires are expected to top $2 billion. Nancy Kincaid, Spokeswoman for the California Department of Insurance, said claims could very well exceed the record-breaking $10.4 billion paid out last year following deadly wildfires that ripped through the state’s wine country. “These are the first numbers we’ve recorded so far… and it’s possible that very quickly last year’s record will be broken,” she told AFP.